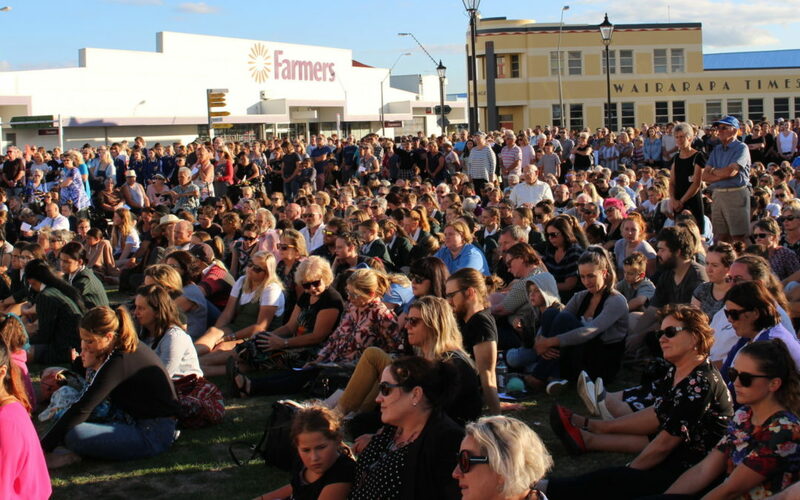 These were the words, spoken over the crowd of more than 1000 people who gathered in Masterton’s Town Square on Monday night, by Ahmed Ali, representing the Wairarapa Muslim community. The service was to pay tribute to the 50 men, women, and children who were shot dead in two Christchurch mosques last Friday during prayer. “One of our darkest days unfolded on Friday,” Ahmed said. “Last Friday [before the attack], we went on with our normal things. “Going to our prayer place and doing our usual prayers in a normal way. Wairarapa people have rallied around the Muslim community, some of whom have gone to Christchurch to offer support. 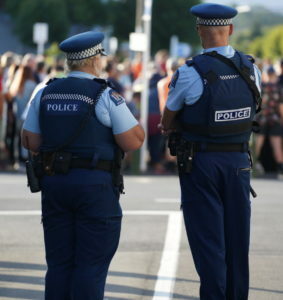 There was a strong police presence at Monday night’s vigil in Masterton. “The outpouring generosity from the community is overwhelming,” Ahmed said. “Thank you. Words cannot express how grateful we are for your kind thoughts and actions. “We appreciate this. We value this. We will not forget this. “We are so lucky in this country where there is love, there is kindness, there is care, and compassion. “We are so lucky to be with wonderful people, caring people . . . and that we are able to live here peacefully. Masterton Mayor Lyn Patterson said as a community, Wairarapa must celebrate diversity and acknowledge that “different cultures enrich our lives, that one’s faith is personal to that individual, and that no race, gender, or culture is better than another”. “People say New Zealand lost its innocence last Friday, I am not sure I subscribe to that. Tears were shed as people mourned the loss of life in Christchurch. Carterton Mayor John Booth said all New Zealanders had been affected by the act of terror in Christchurch. “There are no words to convey the devastation New Zealanders are feeling. “No one should wake up in the morning and expect to be a victim of violence or terror. 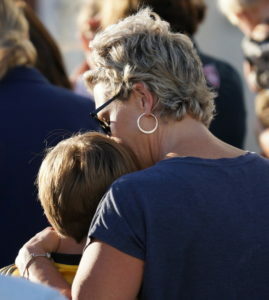 South Wairarapa Mayor Viv Napier said her heart, thoughts, and prayers go out to all the victims and their families. “No one ever expected an attack to happen in New Zealand. The crowd of more than 1000 spilled out on to the street. Wairarapa MP Alastair Scott, Minister of Defence Ron Mark, Labour list MP Kieran McAnulty, who helped organise the vigil, and Kata Kamar also spoke. 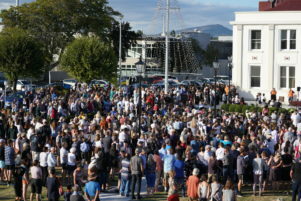 The interfaith vigil included a Muslim prayer led by Mohammed Jeffry, and karakias by iwi representatives while the Rev Andy Eldred represented Christian churches. 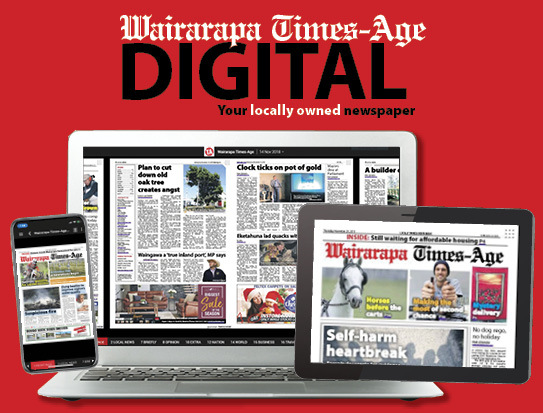 An accommodation register of Wairarapa properties and experiences to benefit those affected by the terror attack has been set up. 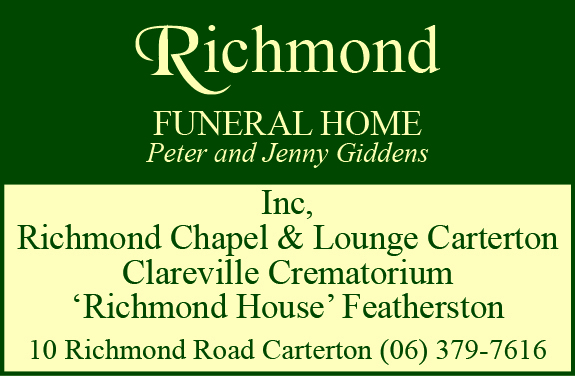 The register includes homestays, baches, accommodation, and experiences which will be offered to victims, police, ambulance, and hospital staff who assisted in Christchurch. Contact harewood@wise.net.nz for more information.